The purpose of this article was to develop an elementary school robot STEAM program and explore the possibility of field applications. To this end, the authors extracted the contents related to school achievement standards for 5th and 6th grade curricula around the topic of robot soccer, incorporating a relevant curriculum based on the extracted information. The program was composed of a sequence of situations, creative design, and emotional experience. Each step was prepared in the order of understanding the robot, making the soccer robot, and the robot soccer game. 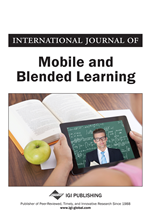 The program developed in this article is significant in that it provided an opportunity to enhance the relationship between content knowledge and real life, collaborative and social learning, metacognition education in new learning processes, new technological environments, and encourage interest in the fusion subject. Today, our society needs both creating new value through convergence and talented experts who could develop such value. Recently, distributed cognition and collective intelligence education, E-learning, ubiquitous learning systems and STEAM education has been proposed as a way of education to nurture convergence talent. STEAM education means education aiming to prepare people with the STEAM literacy of science, technology, engineering, art, mathematics, as well as the ability to solve problems encountered in daily life (The Korean Ministry of Education, 2011; Kim, 2016; Yi, 2016). Above all, to make STEAM education successful, subjects should be merged naturally. That is, a variety of subjects should be naturally integrated, rather than simply fused, in the process of solving a problem. From this point of view, a robot is considered as a tool that can lead to a natural integration between disciplines, because it is created based on engineering, and several other disciplines. In addition, the learning tasks given by the robot tool can effectively cultivate problem-solving abilities and intelligent and adaptive learning in new learning processes and new technological environments in real life, because they can be connected with problems that students experience in everyday life. Several previous studies have already stated that robot-based education improves academic achievement in related subjects. Robot-based education is a teaching method that can improve higher thinking skills, such as scientific thinking skills, creativity, and problem-solving ability (Baek & Yoon, 2016; Mitnik, Nussbaum & Soto, 2008; Nugent, Barker, Grandgenett & Adamchuk, 2009; Sullivan, 2008). In addition, it has been reported that students can experience a lively social communication via the robot-based education and that this education could enhance students’ positive attitudes to teamwork (Nugent, Barker, Grandgenett & Adamchuk, 2009). Based on these studies, robot-based education programs that synthesize science, technology, and mathematics have recently been developed; however, many studies focused on robot programming, robot construction, or mechatronics (Benitti, 2012). In particular, since 2009, robot-based education has been introduced to Korea’s regular educational curriculum (The Korean Ministry of Education, 2011); however, more diverse STEAM education programs based on robot programs should be developed in the future. The aim of this study is to develop a robot-based elementary STEAM education program to promote students’ scientific and technical knowledge, as well as imagination and artistic sensibility. Through this study, we expect to raise students’ interest of related subjects and to cultivate integrated knowledge linked to the real world and enhance students’ problem-solving skills.